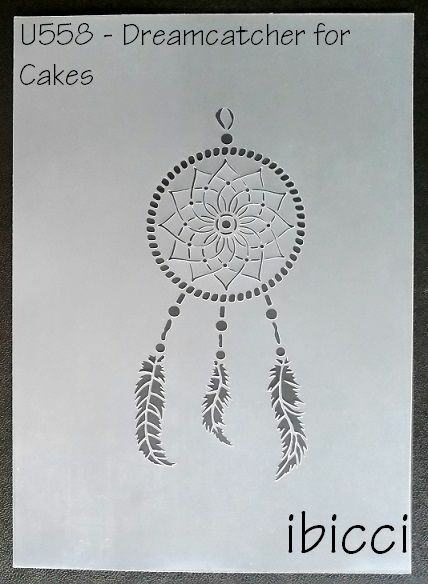 I was asked by a NZ Caker if I could make a dreamcatcher 4" (100mm) high for the side of a wedding cake - Sure I said - and here it is! 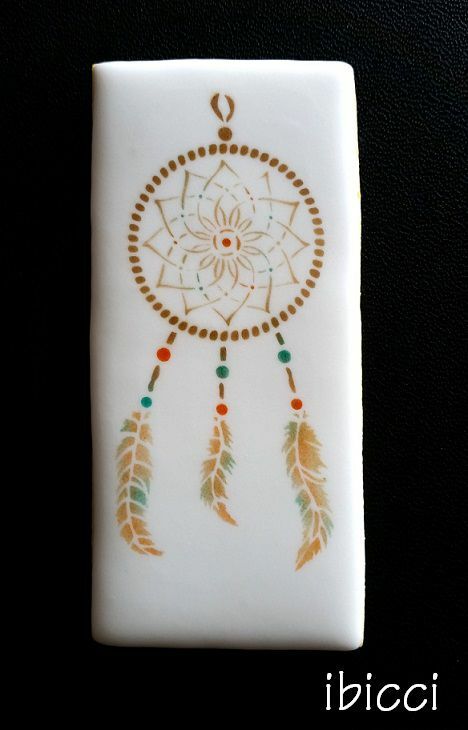 This took HOURS or work, first hand drawing the elements of the stencil, then importing and tweaking the design till I was happy that it would a) airbrush and b) look good using Royal icing stencils in such a small size! 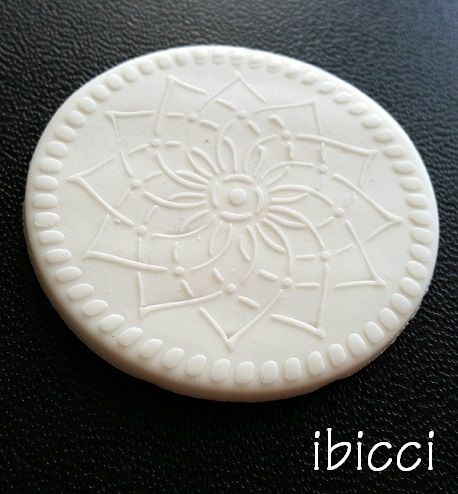 My preferred size is the 4.5" (115mm) for a cookie, and the cake stencil you can see measures just on 8" high or 106*200mm. If you are after any size in between, then just pop a comment in when ordering as I cut to size. 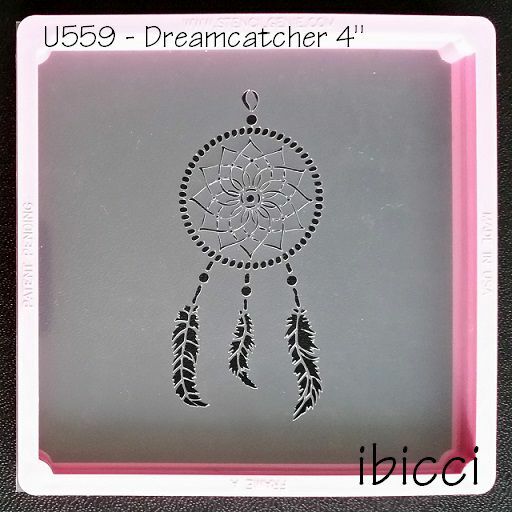 stencil - The ibicci Stencil Genie stencils measure approximately 5.5" / 14.2cm square and fits the Stencil Genie as shown. 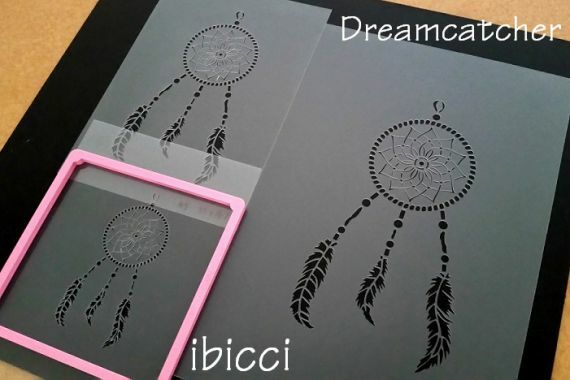 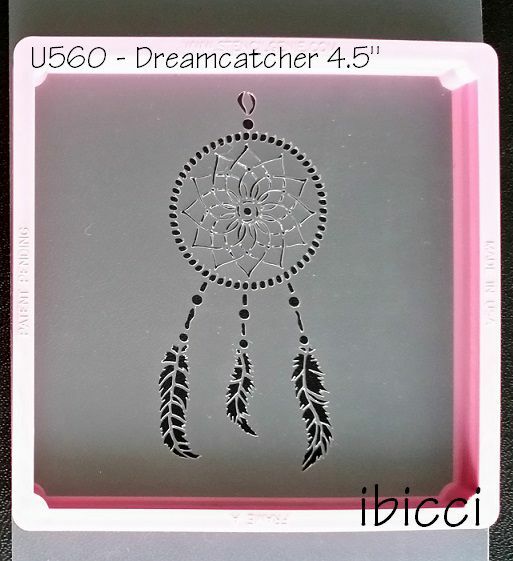 ibicci stencils are made out of reusable, sturdy food safe .007mil plastic.